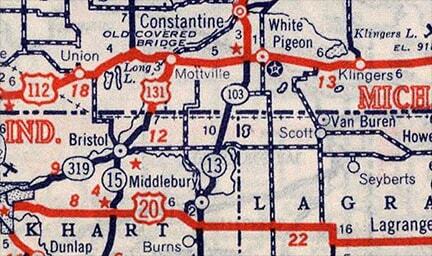 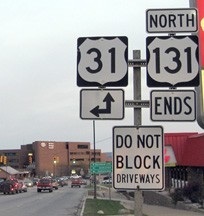 US 131 has always been essentially a Michigan intra-state route. 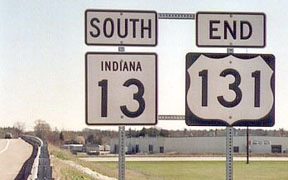 Even after 1980 (when Indiana reluctantly agreed to allow the designation in their state), its Indiana segment is less than one mile in length. 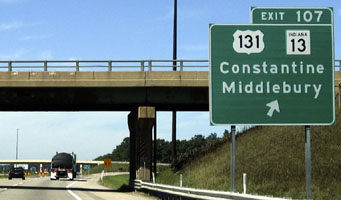 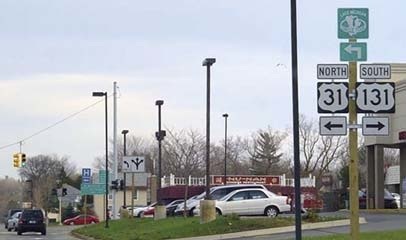 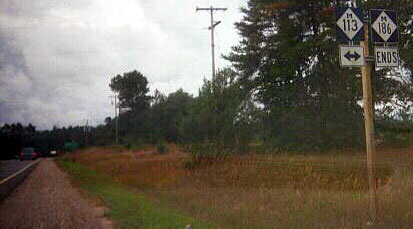 However -- despite the fact that its endpoints are small towns -- US 131 is an important corridor in Michigan, connecting such places as Kalamazoo, Grand Rapids, and Cadillac, and much of its length has been upgraded to freeway. 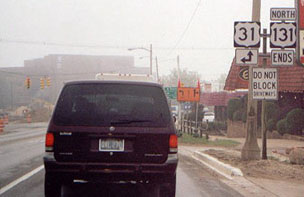 ...although for the first year or two, northbound US 31 was to the right on Charlevoix. 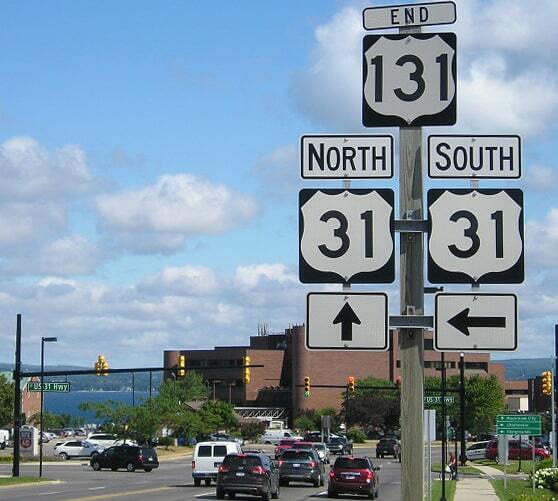 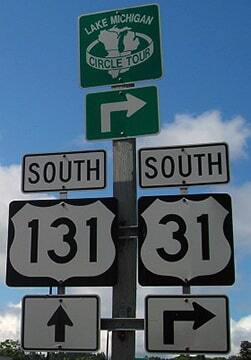 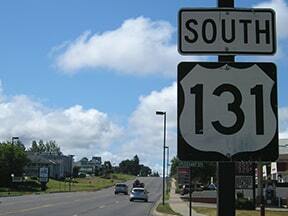 US 31 continues to the right on Charlevoix, but straight ahead on Spring is the north beginning of US 131. 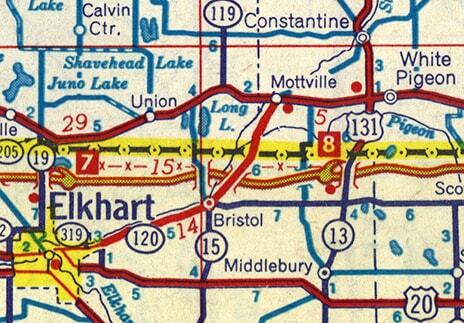 Barely visible in the distance is the big blue sign that marks the Michigan stateline. 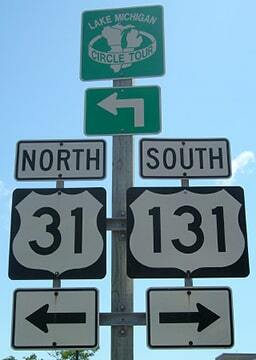 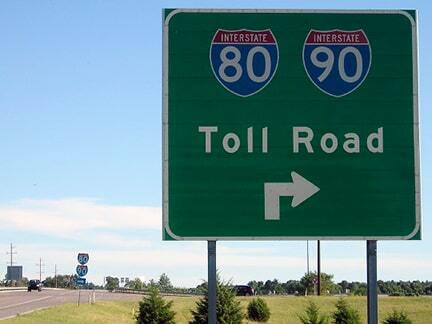 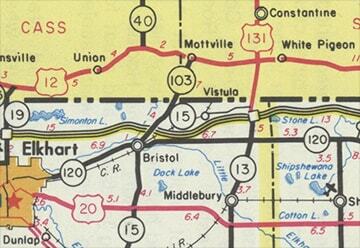 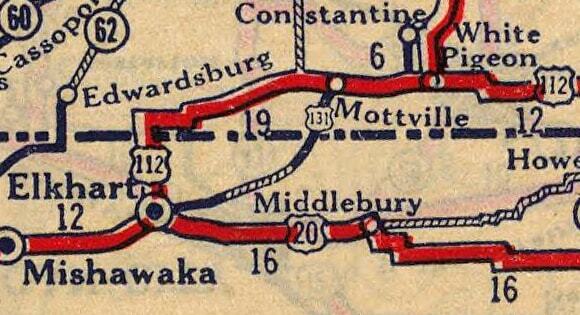 That is where US 131 began before it was extended a fraction of a mile into Indiana.